In Italy, slope failures occur every year, claiming lives, causing economic disruption, and producing different environmental problems. In Italy, intense or prolonged rainfall is the primary trigger of landslides. Predicting rainfall-induced slope failures is a challenging task of both scientific and societal interest. The forecast of single or multiple landslides triggered by rainfall in wide areas relies primarily on empirical rainfall thresholds. Thresholds are defined analyzing past rainfall events that caused landslides and are commonly represented by curves in the duration-rainfall mean intensity (D,I) or rainfall duration-cumulated event rainfall (D,E) planes that separate rainfall conditions that are expected to trigger landslides (above the thresholds) from rainfall conditions that are not expected to cause slope instability (below the thresholds). Before 2010, rainfall thresholds were determined based on visual interpolation of (D,I) or (D,E) empirical data points presumably responsible for the failures. In this project, we developed statistical methods for the objective and reproducible definition of empirical rainfall thresholds. Rainfall thresholds can be used in early warning systems for the prediction of the occurrence of rainfall-induced landslides. Useful for the landslide prediction is the estimation and zonation of the landslide susceptibility and hazard. Landslide susceptibility is likelihood of a landslide occurring in an area on the basis of local terrain conditions, is the degree to which an area can be affected by future slope movements, an estimate of “where” landslides are likely to occur. Landslide hazard is define as the probability of occurrence within a specified period and within a given area of a potentially damaging landslide of a given magnitude. Usually landslide susceptibility and hazard zonation were elaborated for small to medium areas. In this project, we produced synoptic maps of the landslide susceptibility and of the landslide hazard for the entire Italian territory at municipality scale. To establish the landslide risk to the population information on the landslide events and of their consequences are necessary in terms of the number of fatalities they caused. To evaluate individual risk, the mortality rates are used and to assess the societal risk we investigated the relation between the landslides harmful events and their consequences. The project aimed at defining rainfall thresholds for the possible initiation of landslides in Italy, and at designing and developing a prototype nation-wide landslide warning system based on the established thresholds. 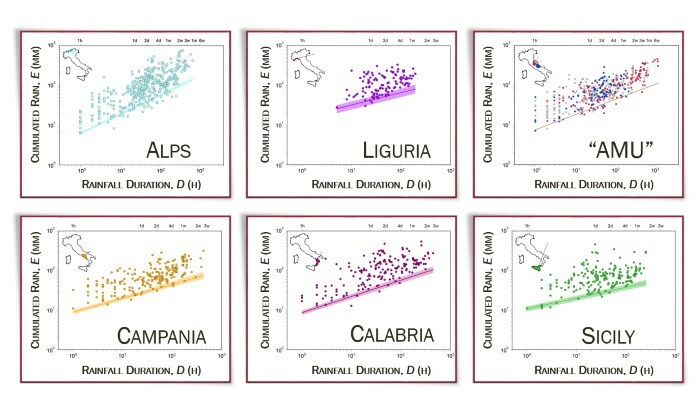 The project were aimed at define the landslide susceptibility and hazard zonation for the entire Italian territory at the municipality scale and at define levels of individual and societal landslide risk at different scales and for different physiographic subdivision of the Italian territory. 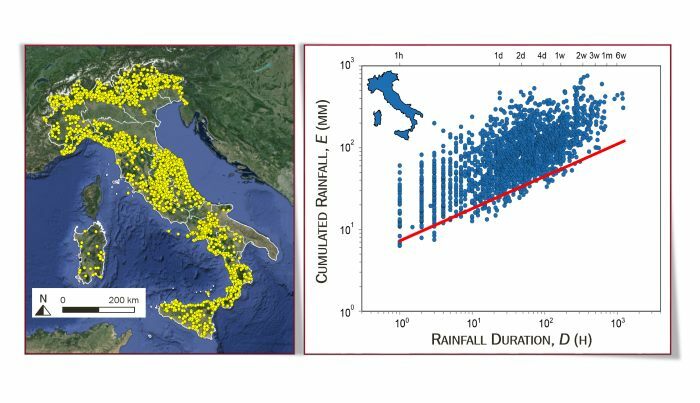 The CNR IRPI conducted a specific research activities aimed at collecting information on rainfall events that have resulted in landslides in Italy in the 11 year period 2002-2012. Information was obtained searching mainly from chronicle sources (newspapers in paper or in historical archives online, websites bearing local news, etc.). The information is collected in the catalog IRPI-PG and, to date, has been used for the definition of rainfall thresholds at national and regional scale. For the project, the CNR IRPI developed two independent statistical methods (a Bayesian inference method and a new Frequentist approach) for the objective and reproducible definition of ID (rainfall mean intensity-rainfall duration) and ED (cumulated event rainfall-rainfall duration) empirical rainfall thresholds. A set of procedures to import rainfall measurements and quantitative rainfall forecasts and to compare them with the calculated rainfall thresholds were developed for the prototype warning system. To produced the landslide susceptibility zonation for the Italian territory, environmental and historical landslide information was exploited. The susceptibility zonation were obtained through linear discriminant analysis (LDA). A set of independent (explanatory) variables were used for the multivariate terrain classification, including 13 morphological, 19 climatic, 10 lithological, 19 land-use variables. The presence or absence of landslides in each municipality in the period from 1950 – 1990 was used as the dependent variable for the classification. To ascertain landslide hazard a specific, simplified probabilistic model was adopted to predict where landslides will occur and how frequently. For the spatial probability, the susceptibility model was used at municipality scale, and for the temporal probability of experiencing one or more landslides in different periods, a Poisson probability distribution model, was adopted. Assuming independence of the two computed probabilities the landslide hazard was determined as the join probability of landslide temporal occurrence and of landslide spatial occurrence. Risk analysis aims to determine the probability that a specific hazard will cause harm, and it investigates the relationships between the frequency of damaging events and the intensity of their consequences. 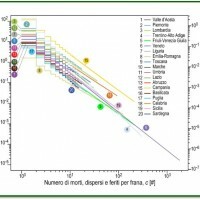 To evaluate the individual landslide risk, that is the risk posed by a hazard to any identified individual, we computed mortality rates, which are given by the number of fatalities per 100,000 of any given population over a defined period. Societal risk is defined as the risk posed by an hazard on society. 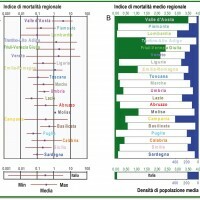 To determine societal risk levels we establish the probability of experiencing severe landslide events by modelling the empirical distribution of events with a Zipf distribution and we the scaling exponent s to establish societal risk for each Italian region and in the various physiographic areas of the Italian territory. 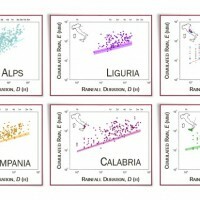 The CNR IRPI compiled a catalogue of rainfall events that have resulted in landslides in Italy. The catalogue represents the single largest collection of information on rainfall-induced landslides in Italy. 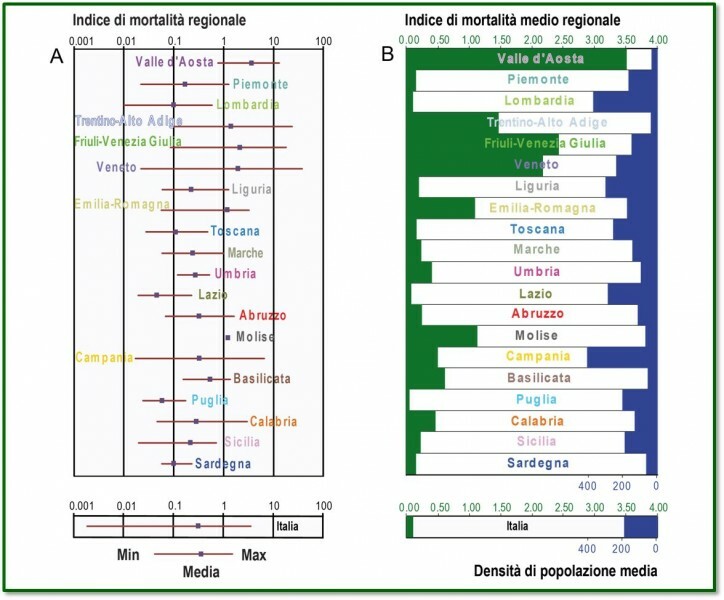 Objective and reproducible ID and ED empirical rainfall thresholds were calculated for the entire Italian territory (national thresholds), and for some Italian administrative regions (regional thresholds). In central Italy, lithological and seasonal thresholds were also defined. National thresholds were implemented in a prototype landslide warning system based on rainfall measurements, quantitative rainfall forecasts and rainfall thresholds. Landslide individual and societal risk assessments at different scales and for different physiographic areas. Guzzetti, F., Peruccacci, S., Rossi, M., Stark, C.P., 2008. The rainfall intensity-duration control of shallow landslides and debris flow: an update. Landslides 5, 3–17. 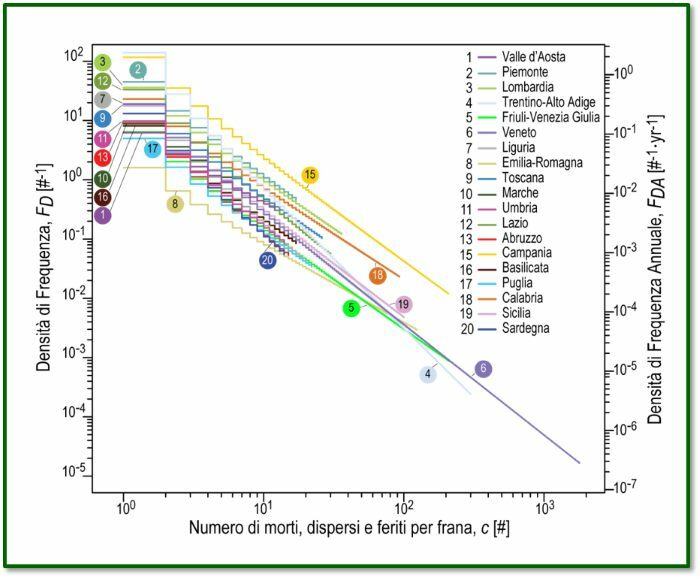 Brunetti, M.T., Peruccacci, S., Rossi, M., Luciani, S., Valigi, D., Guzzetti, F., 2010. Rainfall thresholds for the possible occurrence of landslides in Italy. Hazards Earth Syst. Sci. 10, 447–458. Peruccacci, S., Brunetti, M.T., Luciani, S., Vennari, C., Guzzetti, F., 2012. Lithological and seasonal control of rainfall thresholds for the possible initiation of landslides in central Italy. Geomorphology 139–140, 79–90. Brunetti, M.T, Luino, F., Vennari, C., Peruccacci, S., Biddoccu, M., Valigi, D., Luciani, S., Cirio, C.G., Rossi, M., Nigrelli, G., Ardizzone, F., Di Palma, M., Guzzetti, F., 2013. 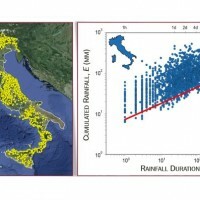 Rainfall thresholds for possible occurrence of shallow landslides and debris flows in Italy. In: Stoffel, M., Bollschweiler, M., Luckman, B.H. (Eds. ), Dating methods of alluvial processes on fans and cones. Advances in Global Change Research Series, Vol. 47, Part 3, 327-339, DOI:10.1007/978-94-007-4336-6_22, Springer Science+Business Media Dordrecht. Rossi M., Kirschbaum D., Luciani S., Mondini A.C., Guzzetti F. (2012) TRMM satellite rainfall estimates for landslide early warning in Italy: preliminary results. SPIE 8523, Remote Sensing of the Atmosphere, Clouds, and Precipitation IV, 85230D (November 8, 2012); doi:10.1117/12.979672; http://dx.doi.org/10.1117/12.979672. The results obtained are directly applicable to landslide forecasting based on empirical rainfall thresholds, and can contribute to mitigate the landslide hazard and risk.